It’s meant to make life easier for physicians but is still very complicated. The American Board of Internal Medicine (ABIM) is offering a two-year assessment option called the Knowledge Check-In, designed to offer physicians more choice and relevant materials in meeting the Maintenance of Certification (MOC) requirement. However, the new process is highly detailed and you will have to remain up-to-date and compliant in order to reap the benefits. Here are the most important details you need to know about the simplification of MOC through the ABIM. 2: 2018 was a “no consequences” year. If you took the Knowledge Check-In and failed in 2018, it will not change your certification status. You can take it again in 2020. 3: However, if your MOC was due in 2018 and you didn’t take the Knowledge Check-In or pass the traditional MOC exam, your certification has expired. Those are the most important things you need to know about the new changes. Now here are the details you need to know in order to comply. This is the complicated part. 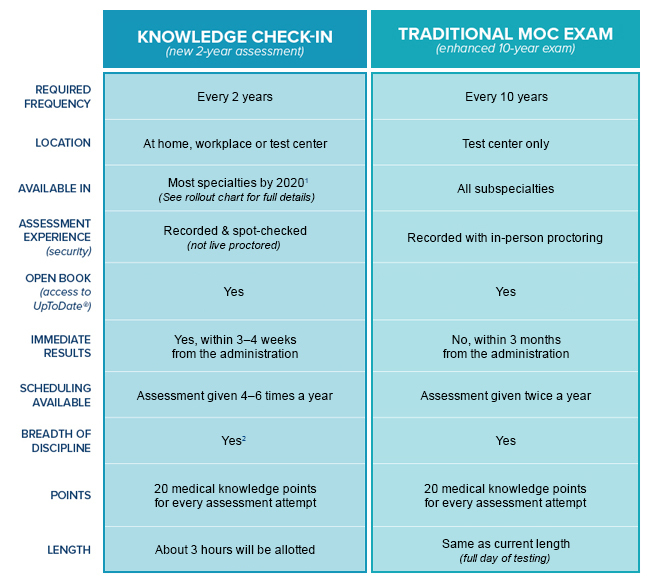 Basically, if you take the Knowledge Check-In every two years and pass, you do not have to take the traditional MOC exam at a proctored test center. If you take the Knowledge Check-In and fail, you have another chance to take it and pass. If you took the Knowledge Check-In and passed, you are all set until 2020. If you failed, you can retake it in 2020 and your certification is safe because 2018 was a “no consequences” year. 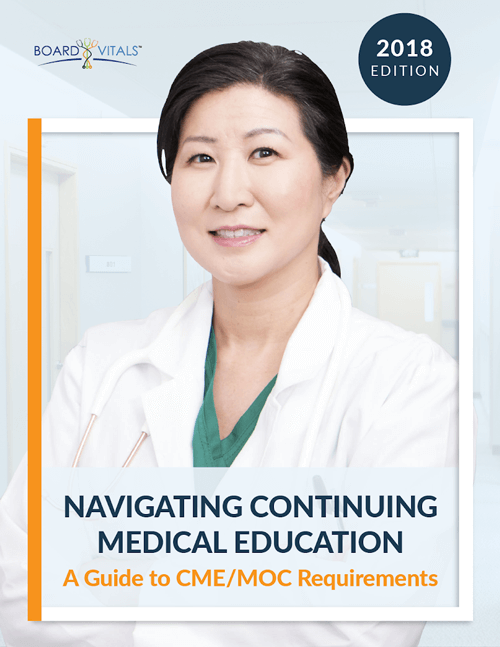 If you took the Knowledge Check-In in 2018 and 2020 and pass, you do not have to take the traditional MOC exam as long as you continue to pass every two years. If you fail in 2020 you can retake it in 2022. You can take the Knowledge Check-In in 2018. If you pass, you take it again in 2020. If you fail, you maintain your certification since 2018 is a “no consequences” year and take it again in 2020. If you fail in 2020 you will have to take the traditional MOC in 2021. You can take the Knowledge Check-In in the first year it is offered for your specialty. If you take the Knowledge Check-In in your specialty’s inaugural year and fail, you have one additional chance to take it and pass in 2022. If you fail in the year your Knowledge Check-In is due, you may have to take the traditional MOC exam the following year. You can see how this becomes very complicated very quickly. To remain compliant and maintain your certification, it is best to review the scenarios based on the year your certification is due. The Knowledge Check-In has 20 medical knowledge points for every assessment and is open-book. What exactly does open-book mean? It means that you will have to use the ABIM UpToDate® “online, evidence-based clinical decision support resource”. You will have access to it during the Knowledge Check-In and MOC exams (except for accessing external websites like Society Guidelines). ABIM recommends visiting the UpToDate User Academy for ABIM to learn more about how to find clinical answers in UpToDate. Three hours are allotted for each assessment and scheduling is available four to six times a year. You can even take the Knowledge Check-In from your home or work computer. But beware, it is very important that you make sure, in advance, that the computer is compatible with the testing system. There is ample guidance for this on the ABIM site, just make sure you address this well before sitting down to take the exam. Those are the most important details regarding the changes to ABIM MOC options. 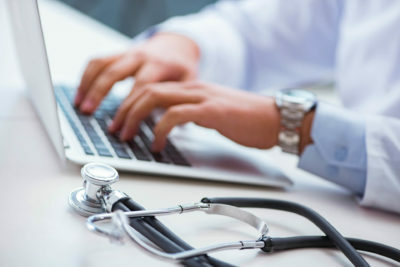 As long as you know all the details, abide by the testing dates and comply with the computer and open book technologies, maintaining your certification should be easier, as designed by the ABIM.